Apart from Jankar, the BJP had announced candidature of Vijay Girkar, Ram Patil Ratolikar, Ramesh Patil and Nilay Naik on Wednesday. 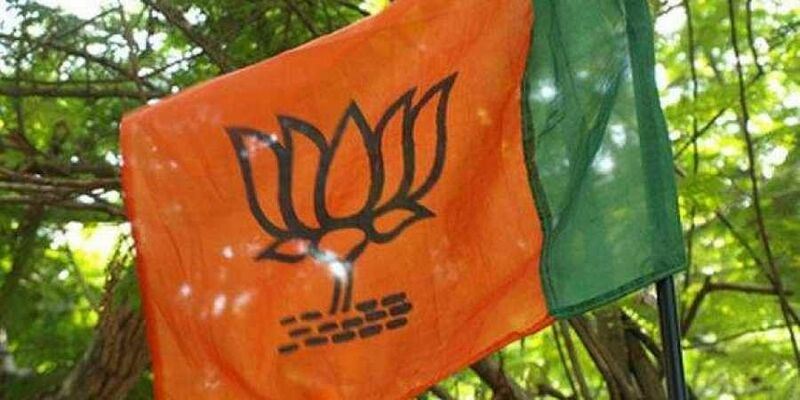 MUMBAI: The BJP's announcement of Prithviraj Deshmukh, its leader from Sangli in western Maharashtra, as its sixth candidate for the legislative council polls for 11 seats has made the council polls interesting. Though there had been speculations that the elections might be unopposed, Maharashtra Animal Husbandry Minister Mahadeo Jankar's insistence on filing nomination as a candidate of his own Rashtriya Samaj Paksha (RSP) is said to have added spice to the otherwise stale election process. Jankar is a member of the upper house of the state legislature. The BJP had got him elected to the post during a by-election two years back when he was made a minister. His party RSP is a constituent of the BJP led NDA. Though there had been no official word about Jankar's move or whether efforts are being made to make him agree to be a BJP nominee, a senior BJP leader indicated that Deshmukh is likely to be a dummy candidate who shall withdraw from the fray on July 9, the last date of withdrawing nominations. The elections are scheduled for July 16. Apart from Jankar, the BJP had announced candidature of Vijay Girkar, Ram Patil Ratolikar, Ramesh Patil and Nilay Naik on Wednesday. Shiv Sena nominees seating MLC Adv Anil Parab and party spokesperson Manisha Kayande, Congress nominees seating MLC Sharad Ranpise and Yavatmal unit head Dr Wajahat Mirza and NCP nominee Babajanai Durrani filed their nominations today. Peasant and Workers Party (PWP) nominee is sitting MLC Jayant Patil would contest from the NCP quota. The elections to 11 seats became necessary as the sitting MLCs are retiring on July 27. Of the 11 seats, the BJP can win five and Shiv Sena two given their respective numerical strength in the 288-member Legislative Assembly. The Congress and Nationalist Congress Party (NCP) together have fielded three candidates. The BJP has 122 MLAs in the House, followed by the Shiv Sena (63), Congress (42), NCP (41), PWP (3), Bahujan Vikas Agadhi (3), Independents (7), CPM (1), RSP (1), AIMIM (2), Samajwadi Party (1), MNS (1), BBM (1), and a nominated member from Anglo-Indian community. Though the strength in lower house assures election five candidates, the BJP wanted the Shiv Sena to divert its additional votes to the sixth candidate of the BJP. This would ensure the defeat of either Congress or NCP candidate. In the Legislative Council of 78 seats, the BJP and the NCP currently have 19 members each. After these elections, the equation would be in favour of BJP and three members of the NCP are retiring while they have the strength to get only one elected back to the house. The BJP is eyeing post of Chairman of the legislative council, which is currently held by NCP's Ramraje Naik-Nimbalkar, and has offered the post of deputy chairman to the Shiv Sena to get their support. However, the Shiv Sena has remained non-committal.